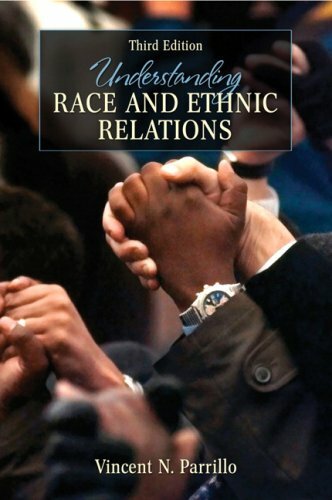 a larger context - from a sociological perspective - in order to avoid inaccurate historical comparisons, are explained.Anyone interested in an introductory look into the current state of race and ethnic relationships in America. Vincent N. Parrillo was born and raised in Paterson, New Jersey. He received his B.S. degree from Seton Hall University, his M.A.from Montclair State University, and his doctorate from Rutgers University. He teaches the following undergraduate courses: Minority Groups in America, Urban Sociology, Sociology of Socialization, Social Problems, Ethnic and Racial Conflict Resolution. Graduate courses include Racial and Ethnic Experiences and Sociology of Intercultural Communication. Music Can Prejudice Be Reduced?